Manchester United’s star striker Zlatan Ibrahimovic was left frustrated by Wayne Rooney’s lack of pressing in their match against Zorya Luhansk. 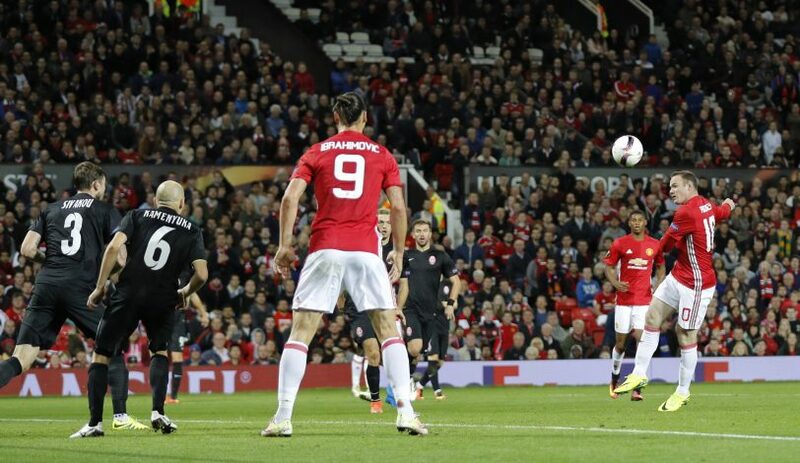 The Red Devils faced Zorya in their second group stage encounter of the Europa League, and came out on top thanks to Zlatan Ibrahimovic’s headed goal, which was assisted by a mishit Wayne Rooney shot. But despite making an instant impact from the bench, Rooney left his fellow strike partner frustrated, due to his lack of desire to close down the opposition players. In the 86th minute of the game, Zlatan was seen charging a Zorya defender whilst simultaneously signalling Rooney to do the same, so as to prevent the opposition player from receiving the pass. But instead of pressing the player, Rooney simply jogged on towards him, which ended in the player receiving the ball and then passing it on further comfortably. Zlatan was clearly left frustrated with the Manchester United captain, as evident from the video below. Wayne Rooney has been at the receiving end of a lot of criticism this season, with Manchester United fans asking manager Jose Mourinho to bench the forward, and play creative players like Juan Mata and Henrikh Mkhitaryan in the Number 10 position instead. Mourinho did just that in United’s Premier League clash with Leicester City, and the Red Devils ended up thrashing the reigning English Champions 4-1, with Juan Mata contributing majorly from just behind the striker. And this latest incident against Zorya will certainly do no favours in Rooney’s bid to reclaim his spot in the starting line-up.